Roseville Scrap Metal Yard pays cash - top dollar on the spot. The scrap metal market is booming! 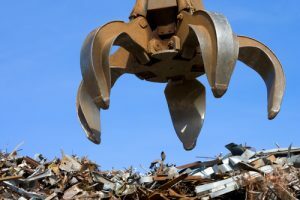 The demand for scrap metal has gone up drastically with counties like China and India purchasing vast amounts of recycled metals. Scrapping is a great way to make money. Lawn mowers, old cabinets, cars, bikes, cast iron bathtubs, anything metal can be recycled. You can even recycle a junk car. GLR Advanced Recycling is a leader in purchasing metal that can be recycled. We pay cash for the material you bring in. Not only do we accept ferrous metal and non-ferrous metal, we also purchase junk cars and car parts, such as radiators and catalytic converters. Non-ferrous metals include aluminum, copper, brass, nickel, tin, lead, zinc, gold and silver. Ferrous metals, which contain iron include steel (alloy, carbon, stainless), along with cast iron and wrought iron. Do you have an old junk car taking up space in your driveway or backyard? Sell your old clunker to GLR and get paid cash on the spot for your junk car! Rest easy knowing that we’ll give you a fair and honest price. If the vehicle doesn’t run, we’ll even pick it up and haul it away. We offer same day towing services. Our Roseville scrap Metal yard accepts all types of metals. Great Lakes Recycling has several locations and services cities throughout Michigan and many communities within Macomb and Oakland counties. Roseville is located in Macomb County, just north of Detroit. Roseville is home to a number of businesses, corporations, and home to more than 50 churches. A number of restaurants and stores line Gratiot Avenue, including Macomb Mall, which opened in 1964 and is still open today. For more information about Roseville Scrap Metal Yard and Selling Your Junk Car for Cash, call or visit our Roseville location. We look forward to working with you to make the world a little “greener”!